Snickers Bar Rice Krispie Squares - Now....you're cooking! 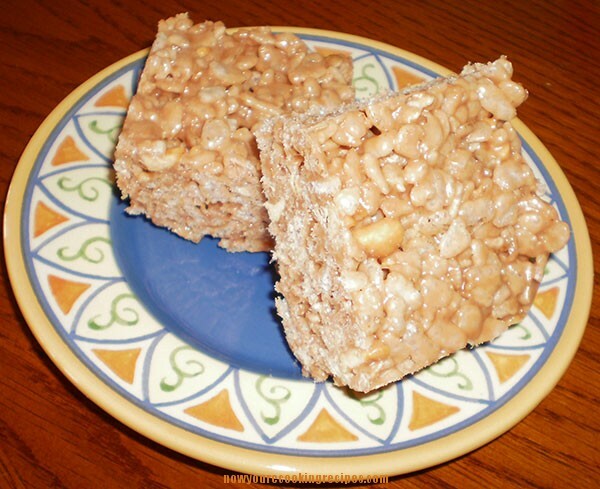 One of the most viewed recipes on this site is Mars Bar Rice Krispie Squares. Having gone gluten-free, I am unable to have these anymore, because Mars Bars are not gluten-free. I decided to give them a try with Snickers bars, which are gluten-free, and they turned out great! I like the odd peanut in the squares from the Snickers bar. I just substituted Snickers Bars for the Mars Bars called for in the recipe, and used gluten-free rice crisp cereal. I doubled the recipe as I normally do with the Mars Bars recipe, because a single recipe just doesn’t make enough!